It's hard to believe the New Media Fashion brunch and boutique crawl is less than two weeks away! Already, some amazing Texas bloggers have confirmed that they'll be there. 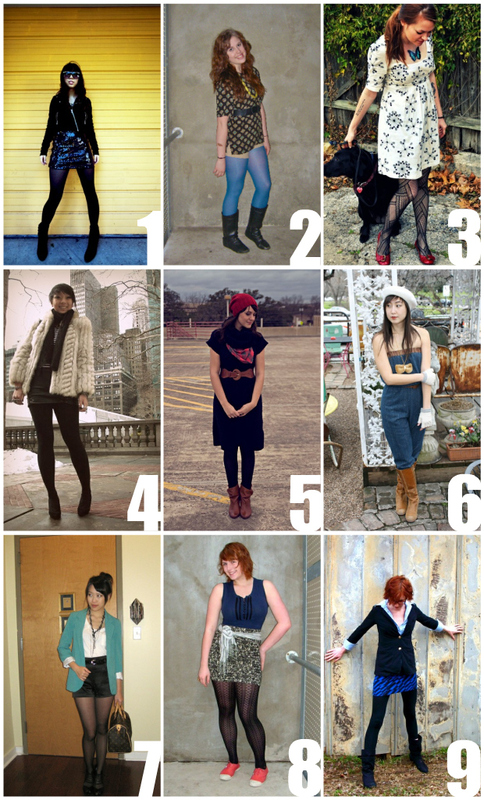 With the exception of Austin is Burning, I believe all of these style bloggers are new to the scene. Isn't that amazing? Other brunch guests include the women behind Weardrobe, Market Publique, Fashism, Fashion Leak, Austin Style Watch, and Cassiday from The JB & Sandy show. I get to ham it up as the brunch hostess (yes, ham... I mean, c'mon! You've seen my videos! ), and it will be so exciting to finally meet everyone! Extra special thanks to Polished Two, Etsy Austin, the 2nd Street District, and Eliza Page for helping make this day possible. For more information about all this March 12th madness, please visit NewMediaFashion.com. I'd love to meet even more people at the boutique crawl, which is open to everyone. It should be a zany, fun event!